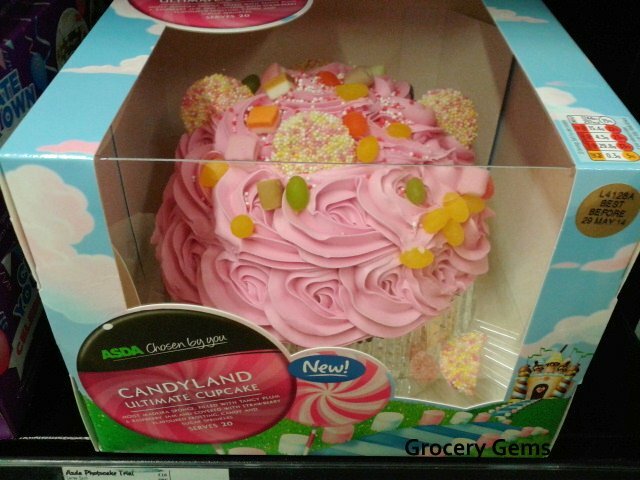 Grocery Gems: New Celebration Cakes at Asda - including a Rainbow Cake! 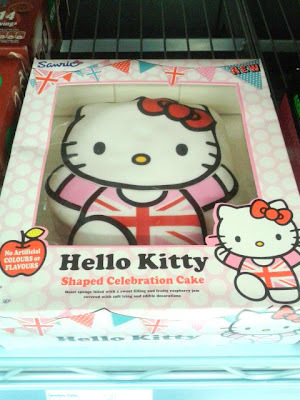 New Celebration Cakes at Asda - including a Rainbow Cake! I spotted some fabulous new cakes in Asda at the weekend, and their lovely PR people sent me some photos so that I could share these finds with you. I was especially excited about their new Rainbow Cake! 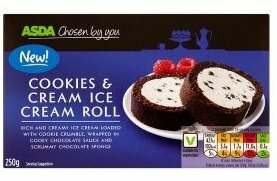 These have been popular for quite a while now on various baking blogs so it's great to see them finally available in the supermarkets for those of us too lazy to attempt one ourselves! The Asda Rainbow Cake has five colourful layers and is available for £15.00. It measures approx 8 inches. UPDATE: A few new cakes added for 2014! 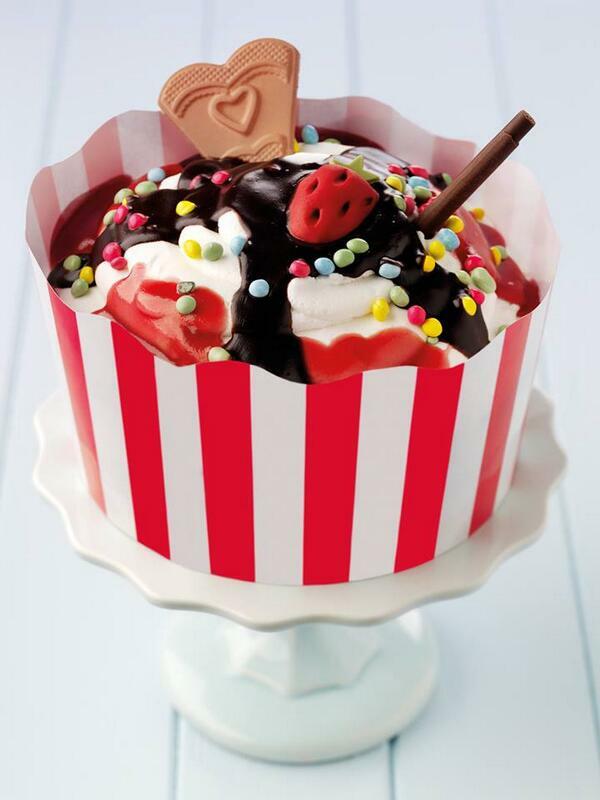 This new All American Ice Cream Sundae Cake has lots of wow factor. 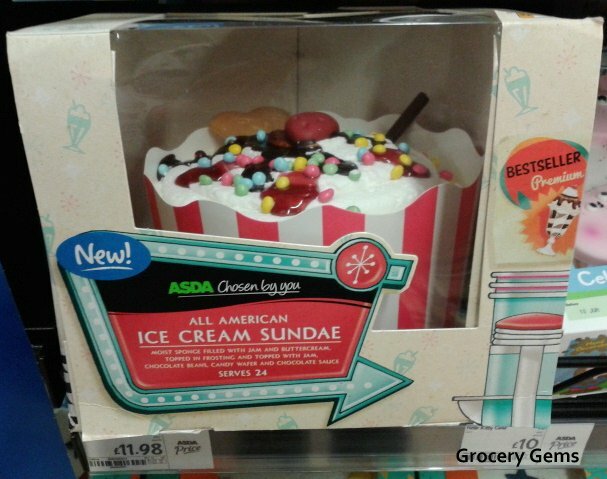 It's a cake that looks like an ice cream! Sponge layers with jam buttercream are topped with chocolate beans, candy wafer, and chocoalte sauce. Perfect for a summer get together. (£12.00). I spotted it instore and took a quick photo. It looks very cute with it's retro diner inspired packaging. 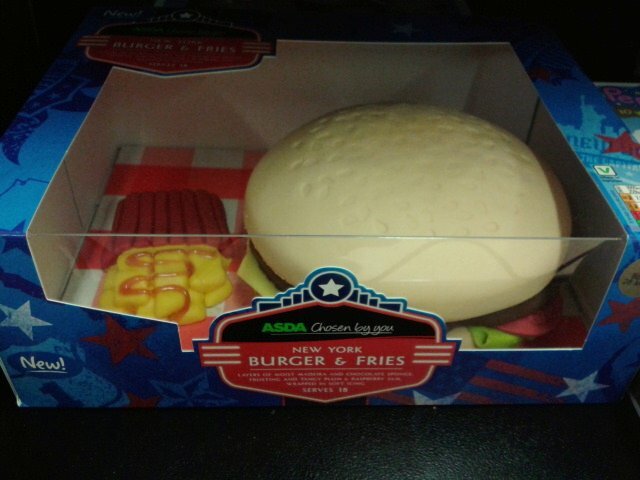 Also in an American diner style is this awesome New York Burger & Fries cake. It's all wonderfully detailed, from the burger to the checkered tray it comes on and some fries on the side too! Great value for £10.00, although the burger bun did look a little pale (could be resolved with some food colouring though). Another new cake, the Candyland Ultimate Cupcake. This is a huge candy filled confection that will delight fans of a certain Candy Crush game. (£10.00). 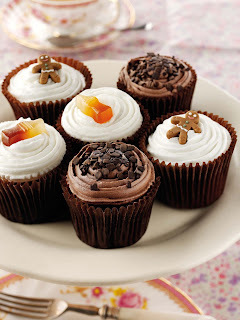 There is also a chocolate version called the Mega Malty Chocolate Factory Ultimate Cupcake. That's quite a name! (£10.00). Also available is this new Jaffa Cakes The Big One celebration cake. There has always been a hotly argued debate over whether a Jaffa Cake is a cake or a biscuit, no such dilemma here - this one is definitely a cake. 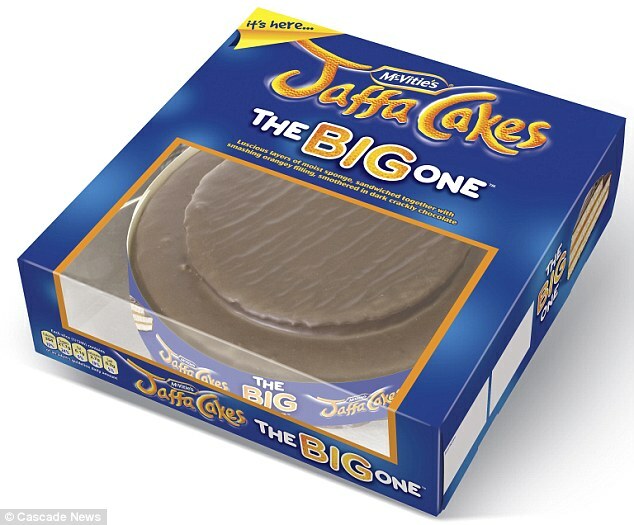 Who wouldn't want a giant Jaffa Cake as their birthday cake? It's awesome! Available at Asda for £7.00. Macho brand Yorkie are muscling in on some of the cake action too. The Yorkie cake actually has the words "Man Fuel for Man Stuff" written on the box. Good luck with that slogan Yorkie. 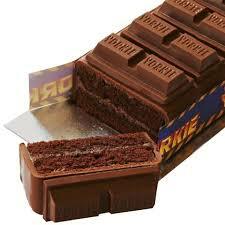 But seriously, it's a good looking cake, very much like a giant Yorkie chocolate bar. The Yorkie cake is available at Asda for £10.00. These delicious looking Chosen By You cupcakes come in three varieties; Cola Bottle, Gingerbread or Triple Chocolate - £2.00 each pack. Cola Bottle Cupcakes? I'm in! 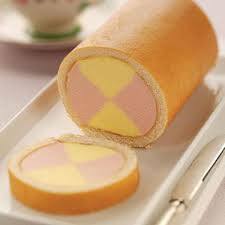 It's more of an ice cream than a cake but this new Asda Battenburg Ice Cream Roll looks fun and it's a bargain at only £1.50! Now also available in a Cookies & Cream version! 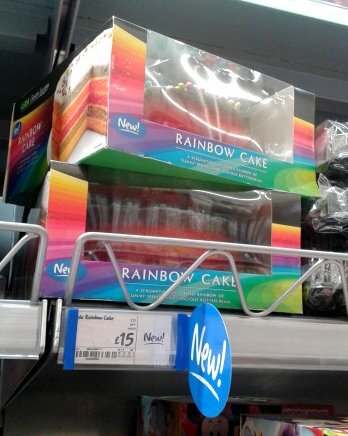 I spotted the Asda Rainbow Cake myself instore and it looked good! I'll definitely be picking this up at some point - I just need the right occasion! 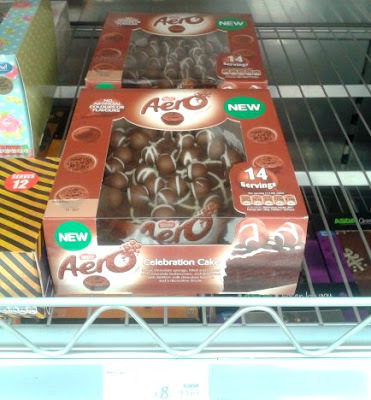 Aero Celebration Cake - £8.00. Another chocolate bar made into a chocolate cake. I think there was a mint version of this celebration cake at some point. 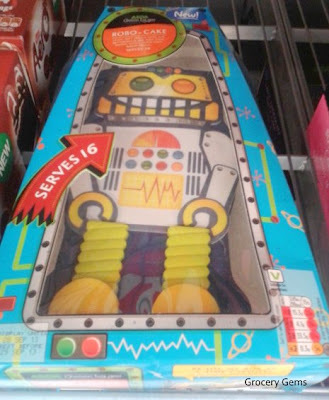 Robot Cake - £10.00. Great value for this large cake featuring a fun retro robot design. 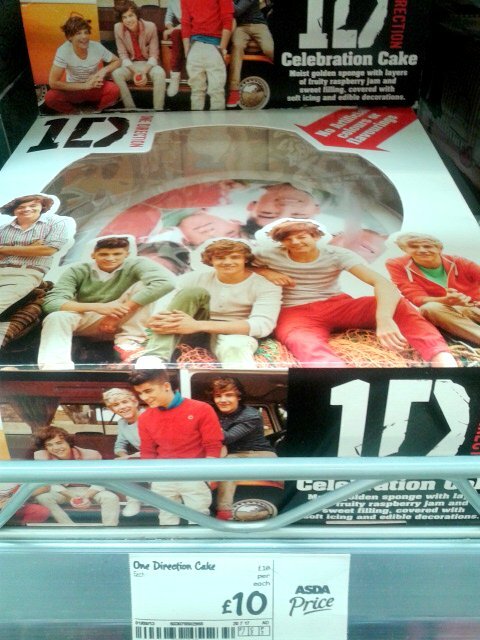 One Direction Celebration Cake £10.00. Quite expensive for such a simple round cake with just a photo design of the band as decoration, however I have no doubt it is still very popular. Angry Birds Cake £10.00. 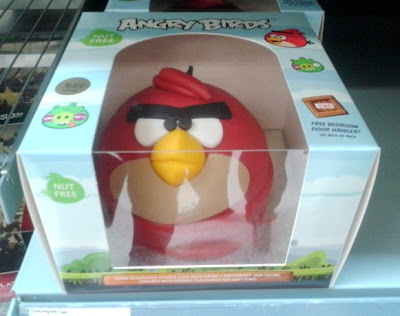 A well designed and fully shaped celebration cake - I'm sure I'll be buying this cake at some point for one of my Angry Birds fans! These are awesome! It was my sister in law's birthday the other day and she had a giant French Fancy cake, don't think it was from Asda though. That rainbow cake is beautiful! Yes it was really nice and it even had the big bit of fondant which I made sure I had a good helping of! 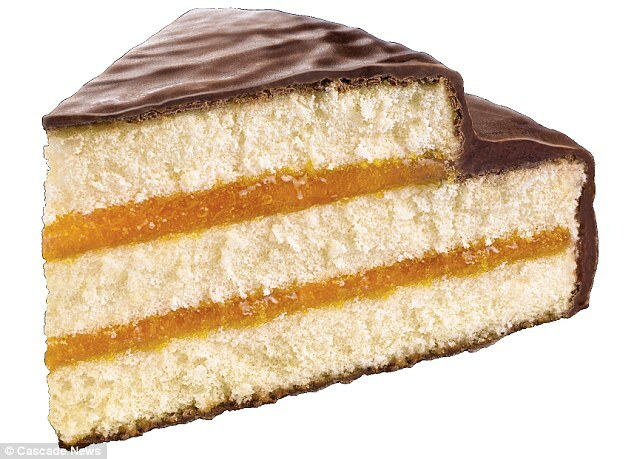 That Jaffa Cake looks amazing! And I like the idea of blocks of chocolate on top of the Yorkie one. It appeals to the man in me, who wants to eat man fuel while doing man stuff...lol. Is it the Rainbow Cake you mean? I'm not sure about the size at the moment. 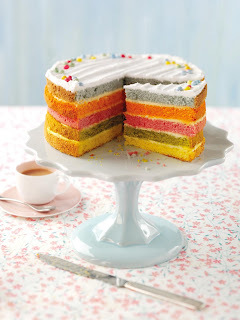 However but I will be purchasing the Rainbow Cake next weekend so I will update with the size then. I've checked instore and the Rainbow Cake measures 8 inches across (about 20cm). 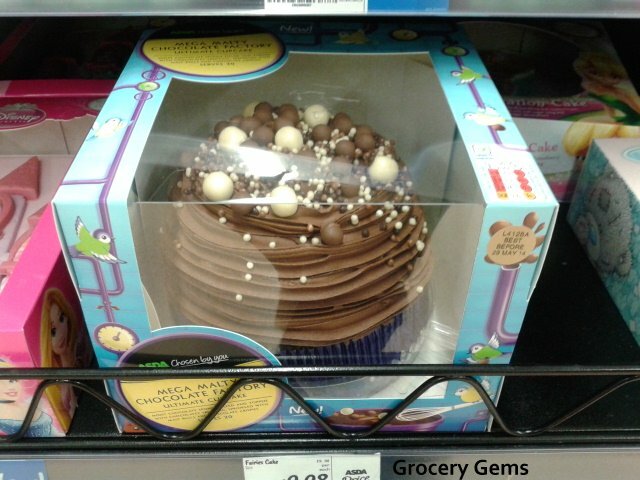 hi does anyone know if asda still do the photo birthday cakes? Hi, I'm afraid I don't have the answer to this. Your best bet would be to call up your local Asda store/s. I'm sure they will be able to tell you. I know it's too late for you, but for anyone else interested - I checked instore and my local Asda still sells a Photo Birthday Cake. Bought the rainbow cake for hubbys birthday. It cuts like a dream and both looks and tastes fantastic.quite a few more birthdays coming up in next 2 months which is a pity as this diet is never going to take off! There is another cupcake to add to the above list its RED VELVET YUM YUM YUM BEST CUPCAKE IN THE WORLD! And one I think you, Katherine are gonna love! Give it a try YOU WON'T BE SORRY!!! Border Biscuits Launches Big Baking Bonanza! Who Knew it Was Not So New? Review: Part Two! Polish Chocolate Bars: Jezyki Kokos & More! New Pocky Coffee Cookie Crush featuring Snoopy! Grocery Gems has read 1 book toward her goal of 50 books.